Factory for Rent in Chakan, Pune - 49000 Sq.ft. Industrial shed factory building on rent/lease-Chakan (Pune), 49000sq.Ft, With all facilities, Ready to move in. 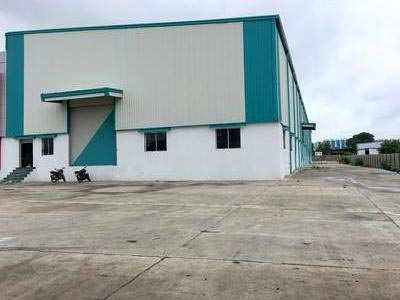 Specifications: Office space, 24hrs water, Power 200hp, Security cabin, Total wall fencing, 10 ton crane capacity peb s	tructure, 5ton per sq.Mtr flooring capacity, Tremix flooring, Concrete road around shed, 11mtr height, Built as per industrial standards, Ample open space, Immediate possession. Please only genuine customer can call. Built Up Area : 49000 Sq.ft., Plot / Land Area : 49000 Sq.ft.